The farm has been passed down for the past six generations. About 4 generations into the venture the government came along and stated, “You either give us 90% of your crop or we take your land.” Without another word, the family gave and still gives the Cuban government 90% of their crop. Today, the best of the leaf is used for the true Cuban Cigar while the remainder is handed over to the Cuban Government. 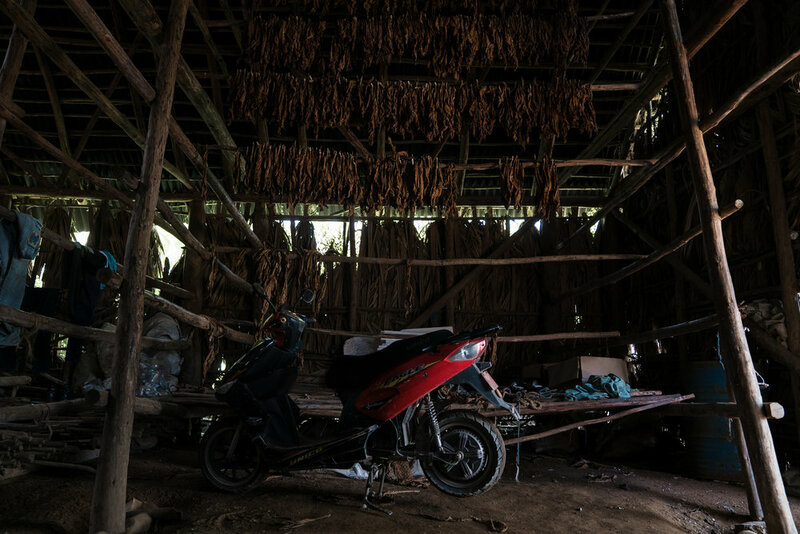 The cigars rolled by hand on the farm are completely natural. The ones made by the government in a factory are filled with chemicals, according to locals. It is well documented that prior to JFK signing an embargo against Cuba, he bought a large number of Cuban cigars. Pierre Salinger worked in the White House when the incident went down. Salinger wrote about the story in "Cigar Aficionado." "Shortly after I entered the White House in 1961, a series of dramatic events occurred. In April, 1961, the United States went through the disastrous error of the Bay of Pigs, where Cuban exiles with the help of the United States government tried to overthrow the government of Fidel Castro. Several months later, the President called me into his office in the early evening." Salinger was then tasked with obtaining as many Cuban Cigars as possible for President John F. Kennedy. Long story short… he did just that. "How did you do Pierre?" he asked, as I walked through the door. "Very well," I answered. In fact, I'd gotten 1,200 cigars. Kennedy smiled, and opened up his desk. He took out a long paper which he immediately signed. It was the decree banning all Cuban products from the United States. Cuban cigars were now illegal in our country."